Discovering what drives me is a never-ending journey (1). Starting with eXtreme Programming and Scrum in 2003 was a life changing experience. My work for different consulting companies (2001-2012) was spent on Scrum. I authored a pocket guide to Scrum in 2013. I went to work with the Scrum.org team and Ken Schwaber in 2013. In 2016 I decided to further my journey of Scrum on an independent basis. I care about people. I care about Scrum. I care about helping people create better products and a more humane workplace through Scrum. I care about helping people re-imagine their organisations. I detached myself from any fixed organisational structure. Of the tangible goals I had in mind, one was to start a community initiative for Scrum across Belgium and the Netherlands, the Scrum Caretakers. Belgium is where some of my core insights in Scrum were created (2003-2010). Since 2010 however I have worked primarily in the Netherlands. Scrum is completely under-used in Belgium. Scrum is huge in the Netherlands, and splintered. 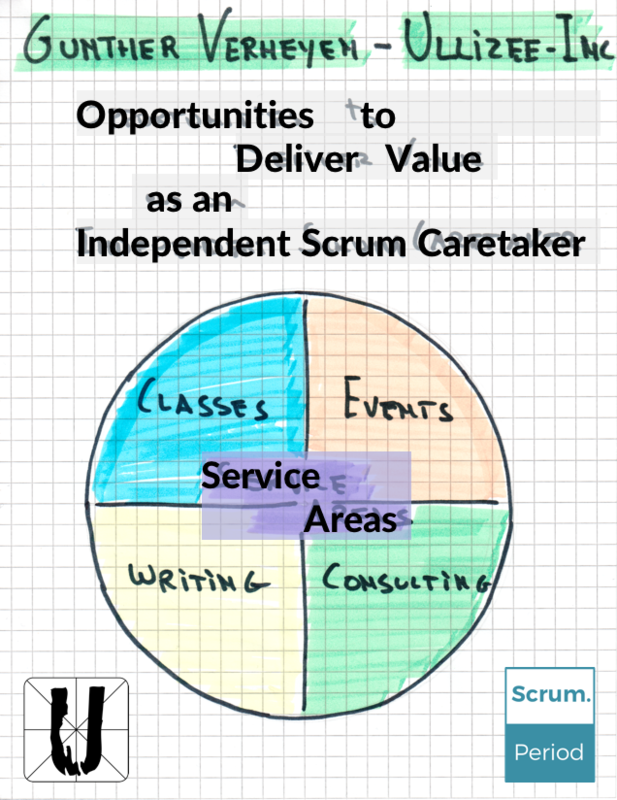 I initiated the Scrum Caretakers community, currently already materialised as a meet-up group. Anyone can join, from any place in the world, and have access to whatever it is we create. Actual get-togethers are organised alternately in Belgium and the Netherlands for the time being.